If you’re like most photographers and graphic designers you’re probably always on the search for new tools and apps for supercharging your workflow to save hours of your valuable time. Because when working with hundreds of photos at a time, you must find new ways to adjust and improve them as quick as you can. In this post, you’ll learn about a useful new plugin you can use to enhance your photos with just one-click and make endless adjustments easily. The best part is this plugin is free to download and it even works without Photoshop. What is this magical new plugin? It’s called Topaz Studio. Let’s take a closer look and find out what you can do with this app. Topaz Studio is the latest Photoshop plugin developed by Topaz Labs, a company that specializes in Photoshop plugins and brought you many great tools such as Topaz Impression and Topaz DeNoise. 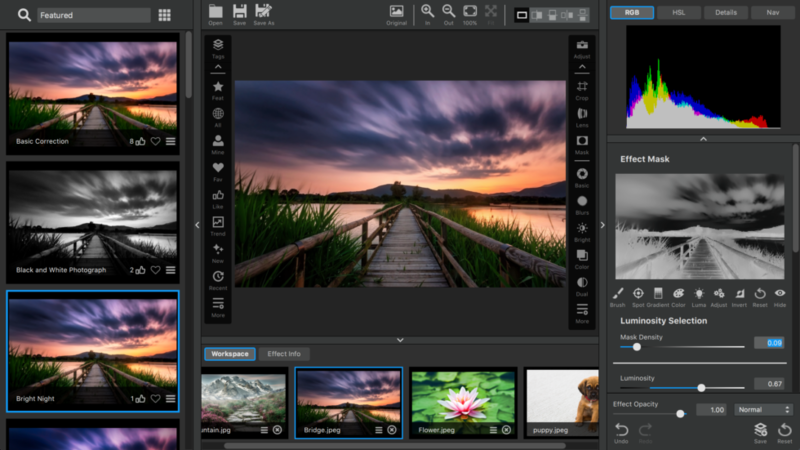 The brand new Topaz Studio uses Topaz Labs’ advanced photo enhancement technology and it’s an app designed to help photographers edit, fix, adjust, and enhance photos instantly with less effort. Isn’t that the dream? Topaz Studio comes with a set of premium tools, customizable adjustments, and a set of one-click effects for getting things done quicker than ever. Yes, everything about Topaz Studio sounds cool. But, you’re obviously thinking is it worth downloading? Well, here are a few reasons why you should consider installing this plugin. These days, you can’t get a good app for free. Even if you get something for free there’s always a catch. Either the features of the app are terrible or your photos end up being branded by the software. Topaz Studio is one of the rare free apps that offers a set of incredible features for free. There’s no catch. It’s truly a great app that comes with useful premium-grade tools for free. Automatic Lens Correction is one of the most useful tools in Topaz Studio. This feature supports hundreds of lenses from cameras including Canon, Nikon, Sony, and more. Topaz Studio also supports RAW images, which will allow you to start editing your photos without any conversion. And the app features integrated masking for adding effects and image layers for quick blending of multiple layers as well. Wouldn’t it be amazing if you could simply apply new effects, add new image styles, try different looks, and enhance photos with just a single click of a mouse button? That’s exactly what you can do with Topaz Studio. The app comes with a set of one-click effects that will make your photo editing life a whole lot easier. Just think about how much time you will be able to save with these one-click effects. A common problem with most Photoshop plugins is that you can’t use the features of the plugin without Photoshop. And this often makes the plugin run slower and lag on even the most powerful computers. Topaz Studio, on the other hand, doesn’t require Photoshop to run the app. In fact, Topaz Studio is a stand-alone app that works without Photoshop or Lightroom. In a way, Topaz Studio is an image editing app of its own. 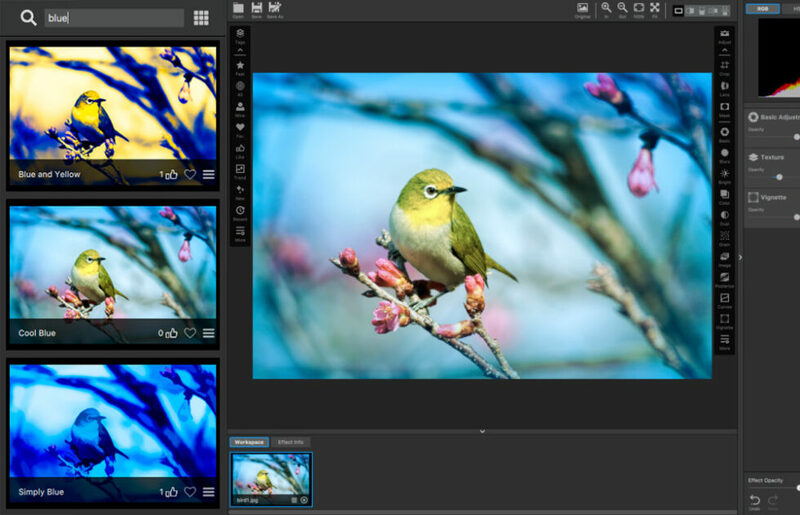 If you already have Photoshop then you’ll be able to connect Topaz Studio with Photoshop to effortlessly edit and enhance photos quicker than ever. Since Topaz Studio is a standalone app, it works faster than an ordinary Photoshop plugin as well. But, Photoshop is not required to use Topaz Studio. Adjustments are the main feature of Topaz Studio. 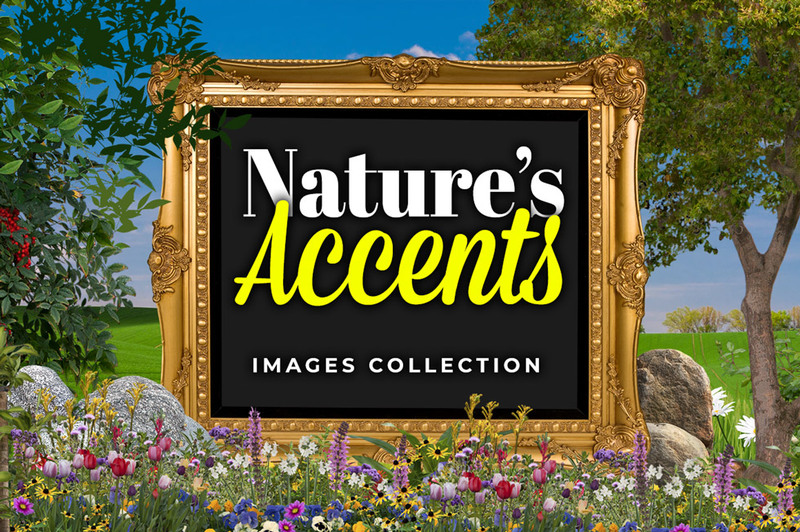 They allow you to quickly adjust and enhance your photos with pre-designed effects. Of course, you can customize the adjustments to fit your photos as well. Topaz Studio comes with 10 free professional adjustments. Including a color overlay adjustment, dual-tone, film grain, brightness contrast adjustment, vignette, and more. All of them are available with the app for free. If you’d like to extend the features of the app, you can buy Pro adjustments for the app. There are 14 Pro adjustments available for the app. These include noise reduction adjustment, focal blur, edge exposure, HSL color tuning, and much more. You can either buy the Pro adjustments individually or as a whole pack to save money. Either way, with or without Pro adjustments, Topaz Studio comes with great technologies that make it worth downloading. Topaz Studio is not limited to the 20+ pre-designed adjustments either. If you’re a fan of customizing and experimenting with effects of your own, you’ll certainly fall in love with Topaz Studio. The app allows you to create custom effects of your own and save them for later. When you’re connected to the internet, these custom effects will sync to your Topaz Studio account to let you access your custom effects through any device you own. In addition to all these features, Topaz Studio offers free updates for the app. Which means whenever the software gets updated with new effects, features, and adjustments, you’ll be able to get them for free of charge. The app also functions as a host for all other Topaz plugins, allowing you use them without the need of Photoshop or Lightroom as well. It’s a common saying that all great things cost a price. Well, that doesn’t apply to Topaz Studio because this app is truly an exceptional free app which brings you a set of professional tools that you usually have to pay to get access. Download Topaz Studio and see for yourself. After all, it’s Free to use.